Adelaide EWP :: Service, Maintenance and Repair of Elevating Platform Vehicles (EPV's), Travel Towers, Cherry Pickers, Bucket Trucks, MEWP's and Vehicle Mounted EWP. 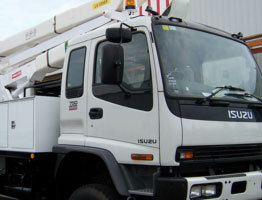 We specialise in Truck Mounted EWP hire and servicing. For over 20 years the team at Adelaide EWP has been specializing in service, maintenance and repair of Elevating Platform Vehicles (EPV's). 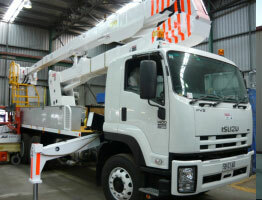 EPV's are also known as travel towers, cherry pickers, Bucket Trucks, MEWP's (Mobile elevating work platform) or Vehicle Mounted EWP (elevating work platforms). We can provide all of the repair work you may need for your EPV's. Our customer base extends throughout South Australia and interstate. 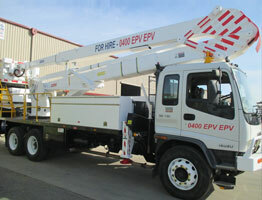 Introducing Adelaide EPV Pty Ltd, a company specialising in Elevating Platform Vehicle Hire. Adelaide EWP has a fully equipped workshop facility to carry out our services on a range of machinery and we keep up with the latest technology being utilized in the industry. We can also assist you with your new or second hand EPV requirements.